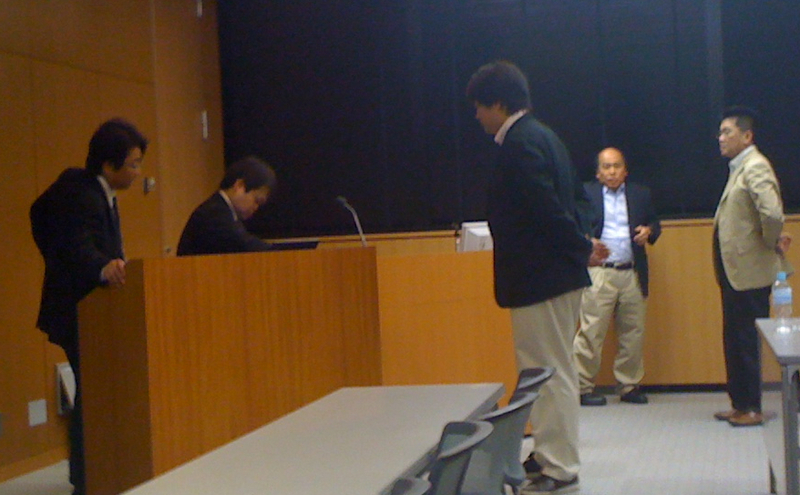 Chikara Miyaji chaired this session. 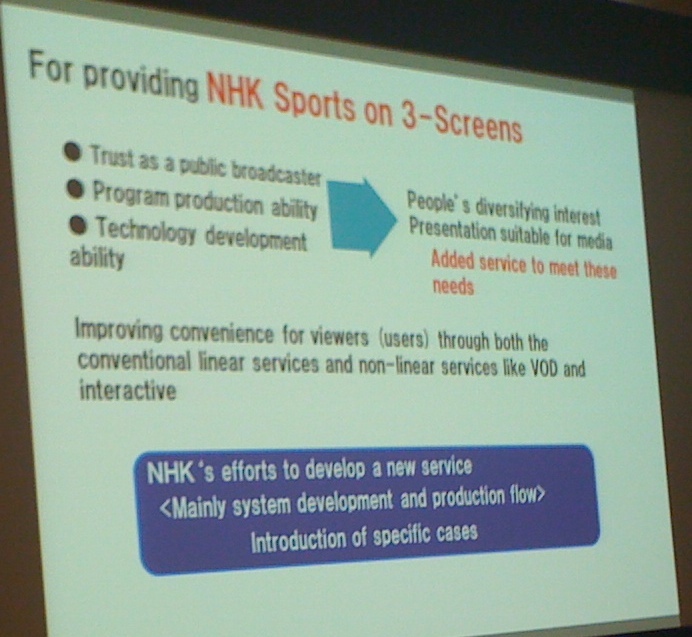 Sunichi Tsuji presented the first part of the talk and described the development of NHK as a public media broadcaster. 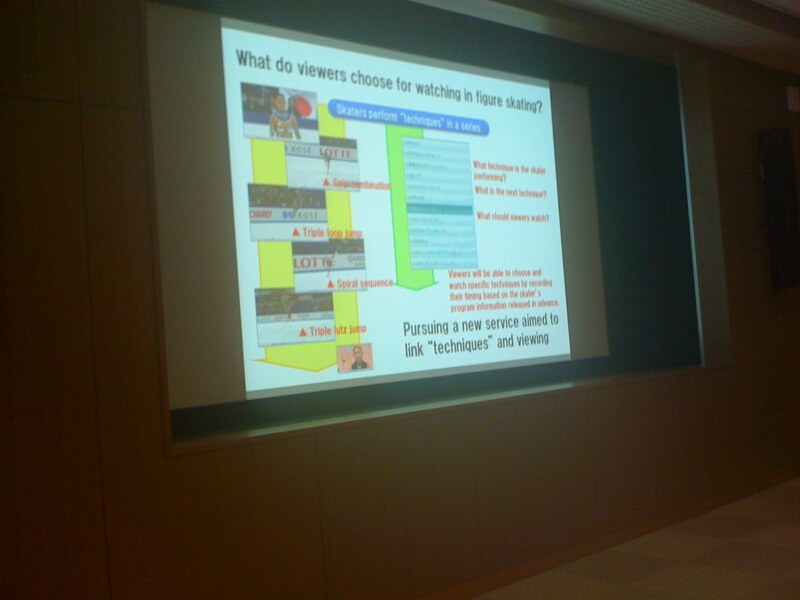 Technonet presented examples of these media developments including coverage of the Ekiden Relay, figure skating (linking techniques and viewing) and the Winter Olympics in Vancouver 2010. The latter event created opportunities for the development of asynchronous techniques (given the time difference between Japan and Vancouver). These approaches have some important metadata implications and Technonet noted their development of a metadata generator to support interactive viewing experience. The presentation offered a detailed insight into the use of images and other data for digital television, Internet and mobile telephony. The management system requires: multiplex real-time encoders; metadata generation; transcoder management; a CMS controller; a management system to check all clips for preview and checking; managing other data from the event (official results, athlete names). Information about the RDA full draft can be found here. This is an information page about RDA on the National Library of Australia website. This is a link to presentations about RDA made at a seminar in Sydney in October 2008.